Cruisers already can surf, ice skate, make pottery and bowl at sea, so what's next? How about fencing? Yes, Cunard Line, the venerable British cruise brand, has debuted fencing as a guest activity onboard the new Queen Victoria. The choice is fitting given that fencing was a favorite pastime of Prince Albert, husband and consort of Her Majesty Queen Victoria. Cunard has engaged Leon Paul Fencing Equipment, the British company whose name has been synonymous with fencing for nearly a century, to create the onboard fencing program. Cunard guests have an opportunity to learn fencing basics or fine-tune their fencing skills with a fully certified instructor using equipment identical to that used by world champions. The fencing program can accommodate up to 10 aspiring or accomplished fencers at a time for foil fencing, the preferred method for elementary fencing classes due to the flexible and lightweight blade and blunted tip. 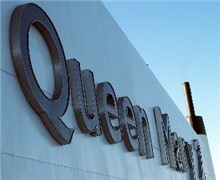 Cunard Line is the stuff of legends. It's a storied line with a rich history, including past ownership of White Star Line -- known from Titanic fame -- in the early 20th century. Today, the Queen Mary 2, one of the world's largest ships, and the venerable Queen Elizabeth 2, still sail the oceans for Cunard (although QE2 will leave the fleet in 2008). QM2 still operates the only scheduled weekly trans-Atlantic liner trip in summer, in the tradition of the great ocean liners of the past. Cruise writer Georgina Cruz looks at Cunard, outlines its history and its ships, and details what they offer for modern travelers.